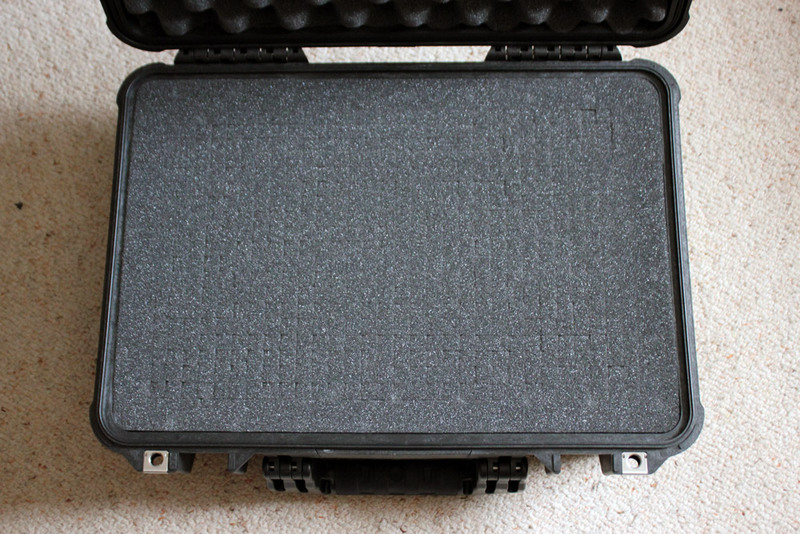 If you are travelling around a lot with your HTC Vive and looking for a way to pack it more tightly and securely, I’ve put together a step-by-step guide on how I built my own Vive hard case using a Pelican 1500. It now has a way to be locked, has a secure handle and should be small enough to count as carry on luggage with most airlines. 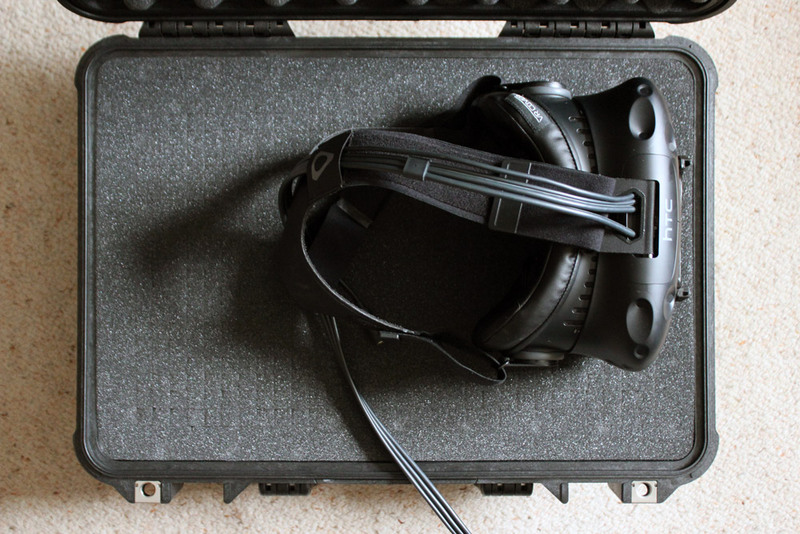 My HTC Vive hard case! 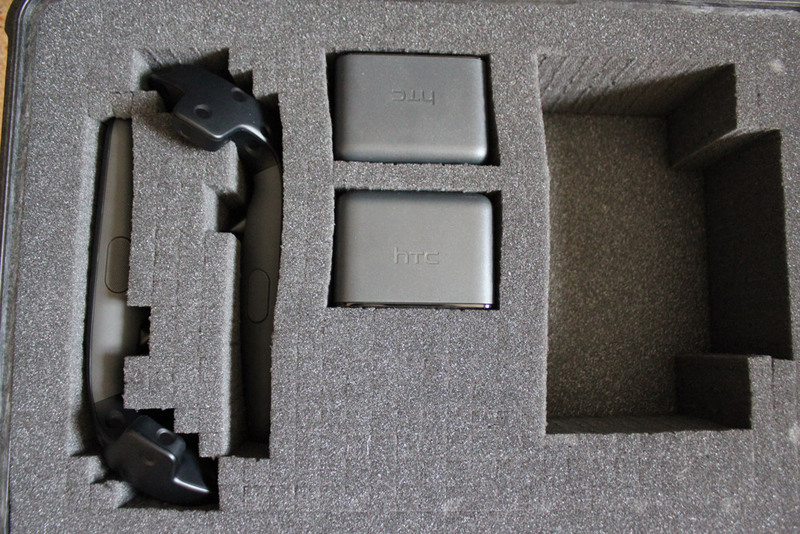 As someone who bought the HTC Vive Consumer Edition early enough to receive it in the original big chunky box, the need for a more portable (and safe… carrying that massive box down many blocks of Sydney CBD was just asking for trouble) solution was clear. 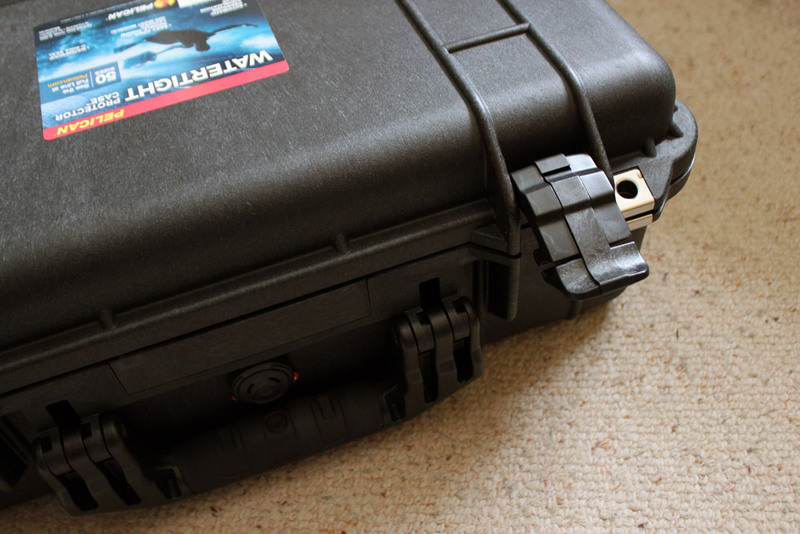 I researched online and saw that many built their own hard cases using various sizes from the Pelican hard case range. The range claims to be resistant to be thrown off a roof, shot at, run over with a four wheel drive and even submerged in water. 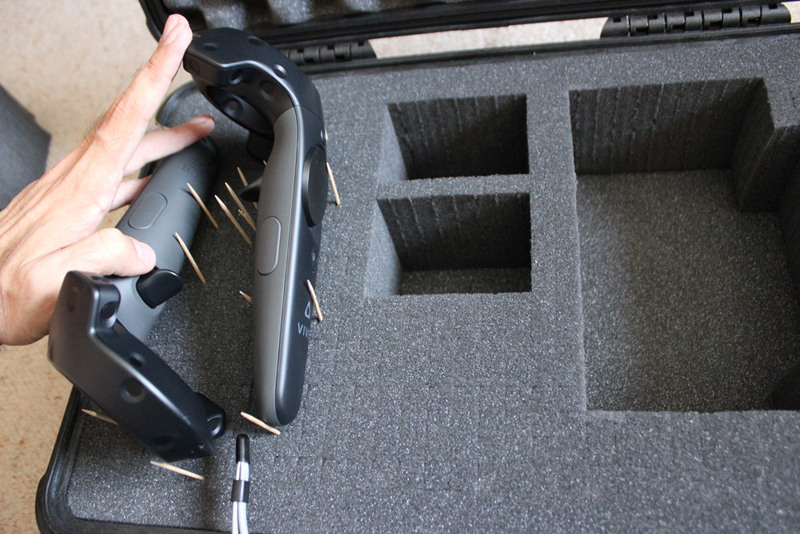 If it can handle all that, surely it can protect my Vive at an airport, right? I chose the Pelican 1500 as it seemed to be the one that was most likely to be small enough to be allowed as carry-on luggage on Australian airlines (I haven’t tested trying to bring it on a flight yet but fingers crossed I can!). US baggage limits seemed to allow slightly larger cases, so if you’re from the US and are aiming to use it as carry-on, you might be able to use a larger case. 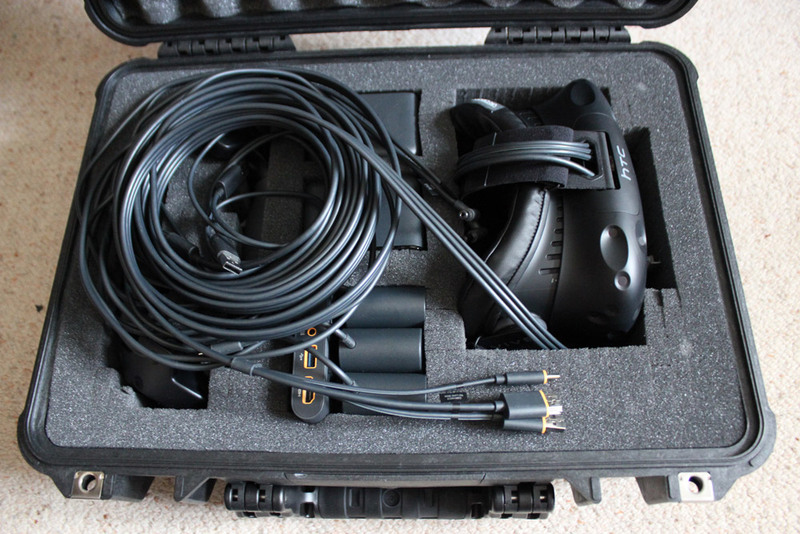 The Pelican 1500 was also a bit smaller than most other Vive hard case attempts I’d seen online, so it was going to be a tight squeeze! 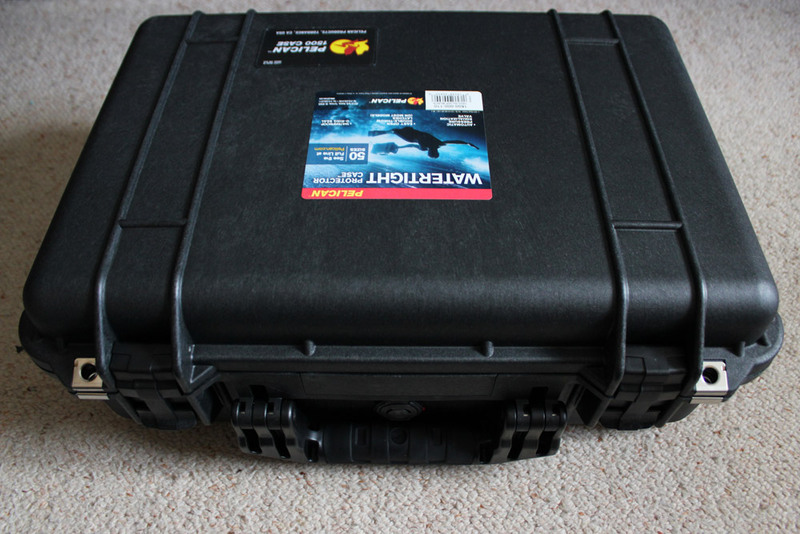 If you’re able to use a bigger Pelican case, I’d definitely recommend it. 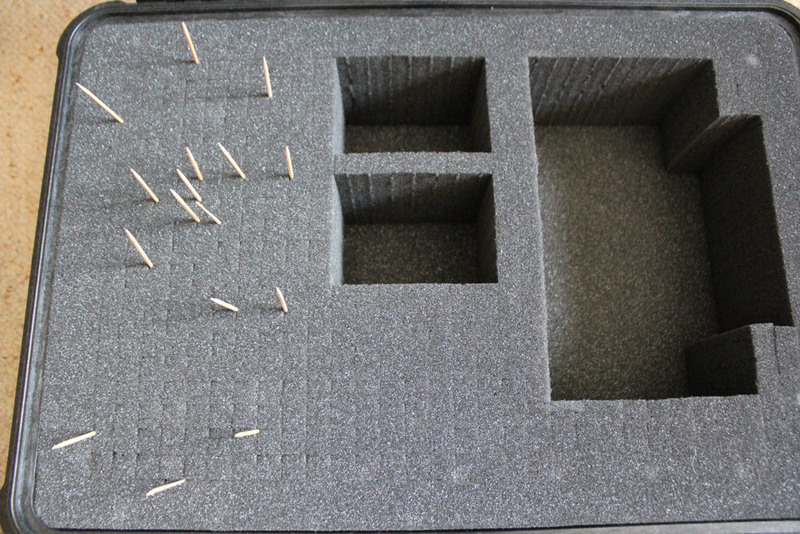 Important Disclaimer: I’m not a case building expert by any means, so there could be a better/safer way to pack everything in. 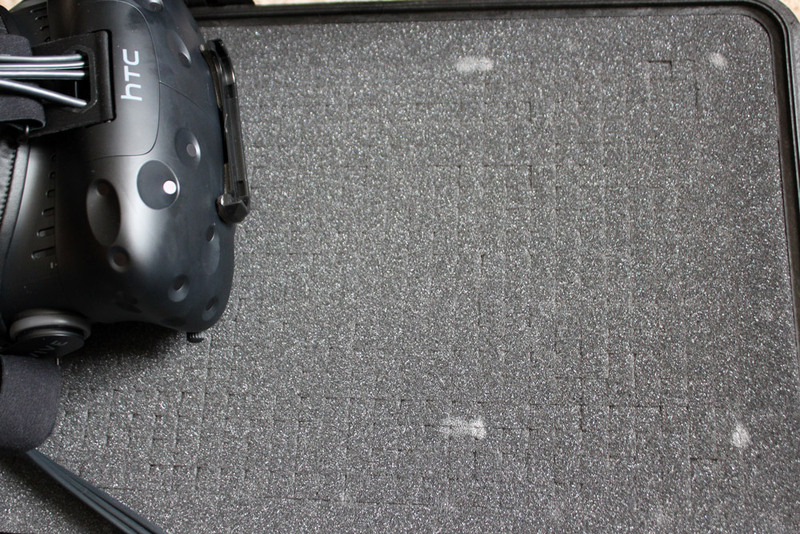 Please take care with your Vive and be careful when squeezing it into the box as there’s every chance you could damage it if you aren’t cautious. 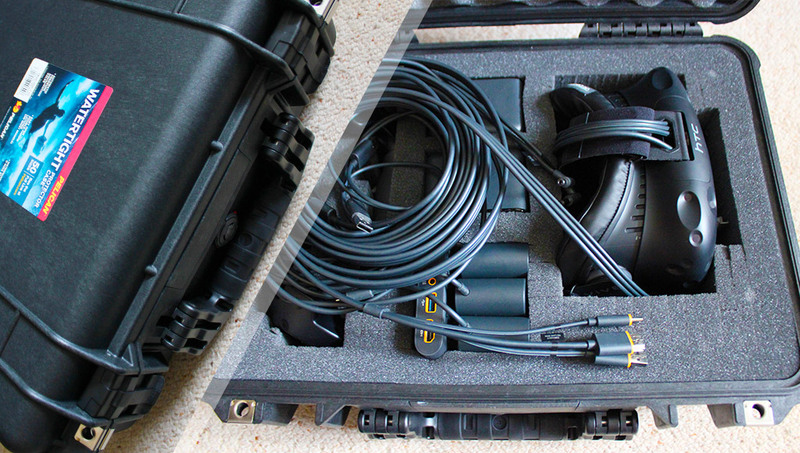 If you aren’t confident or you want to be 100%, buy a larger Pelican case or purchase a purpose-built Vive hard case. I take no responsibility for anything that happens to your equipment by following my instructions — all I can say is that it has worked well for me. 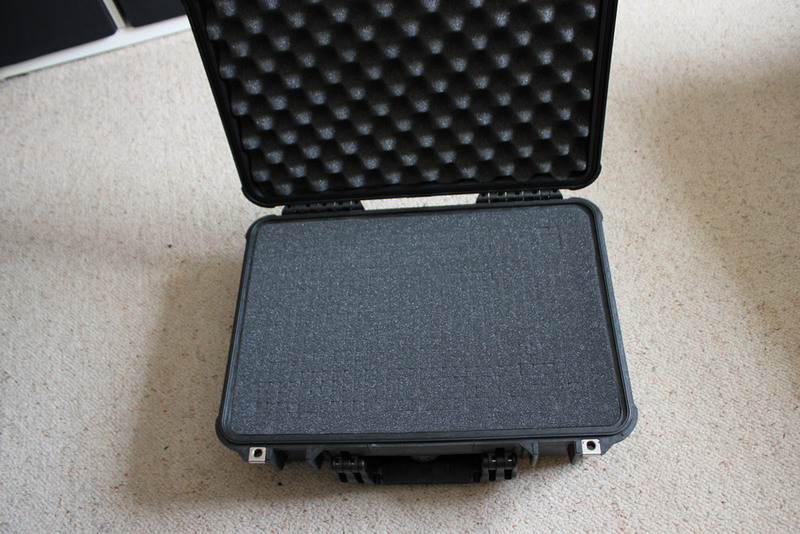 If you are in Australia like me and are looking to purchase a Pelican case, I purchased mine from Carry It Cases and received it with no issues or delays. 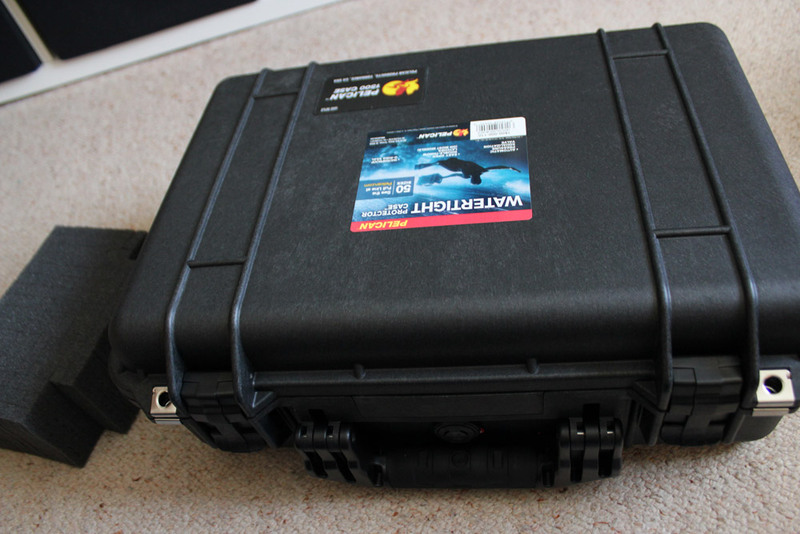 The Pelican 1500 box arrived safe and sound, but it’s a bit bulky (I guess it does have an entire other box inside it!) 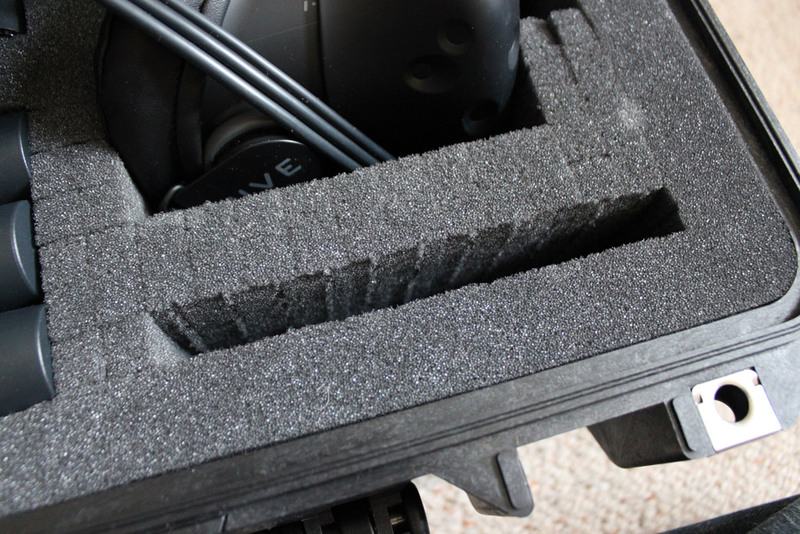 so I’d recommend getting started and piecing together your Vive box sooner rather than later — it sat in my lab for quite a while taking up space before I finally had a chance to Vive it up! There’s a HUGE difference in size between them — which brought me a lot of joy and relief! 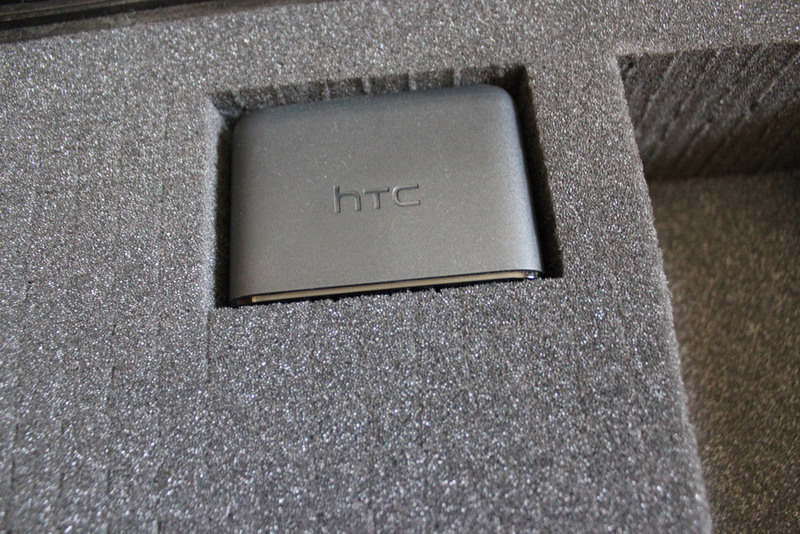 Not only that, but the original HTC Vive Consumer Edition box didn’t have a handle to make it easy to carry around either. 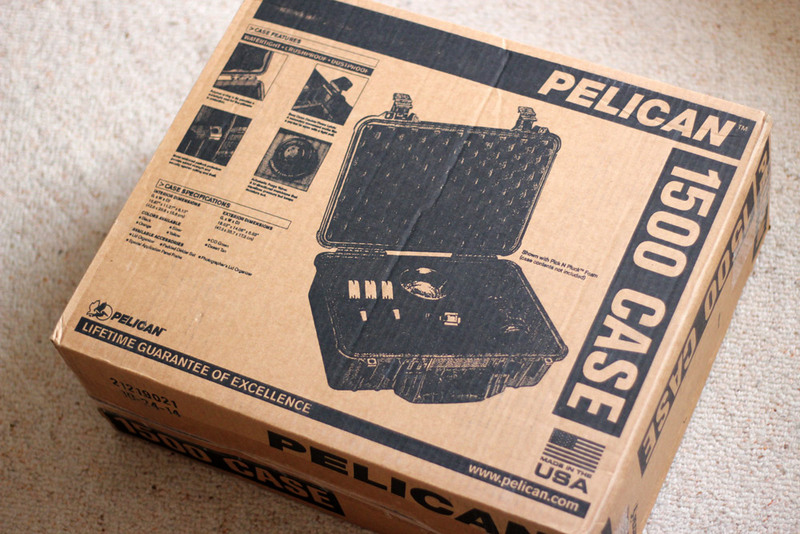 The Pelican 1500 has a handle and is much stronger! 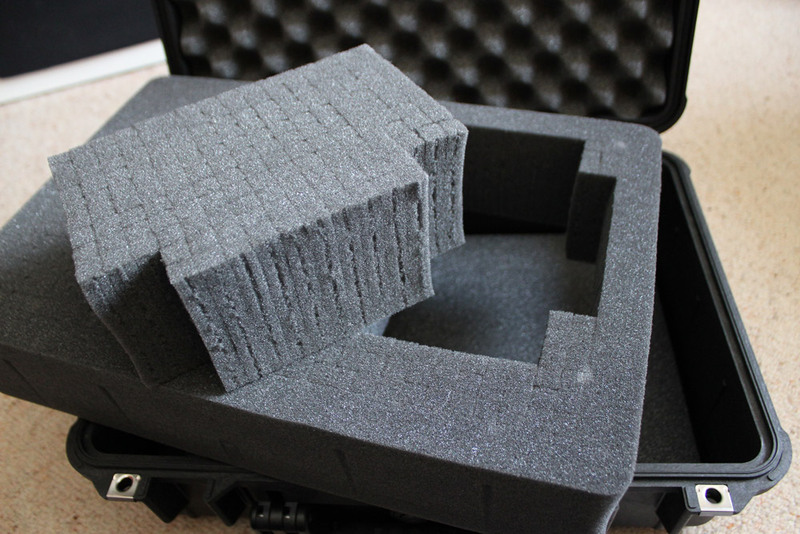 It’s a nice and simple (yet strong and secure) case. To get it open, just unclip the main latches. These latches clip down very securely so there’s no chance of it flinging open at any point! 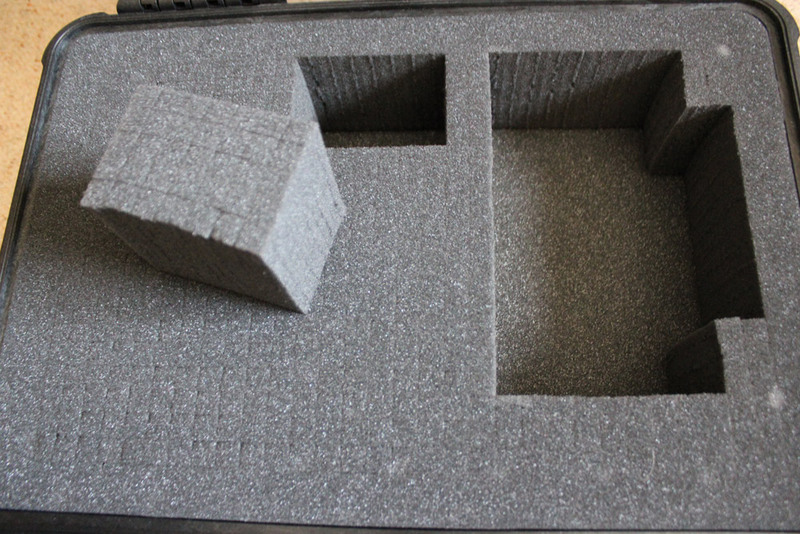 Inside the case is a form insert and foam on the inside of the lid to keep everything padded and safe. 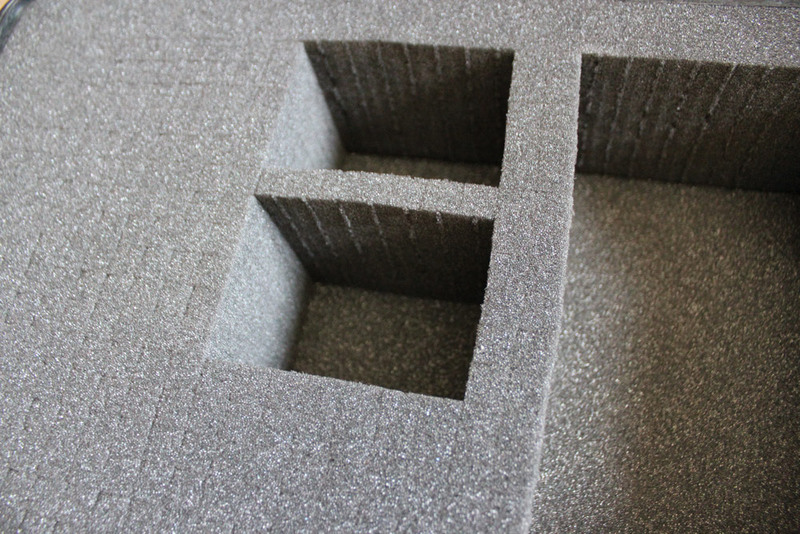 My foam for the inside of the case was Pick n Pluck foam — I’d recommend everyone get one of those when ordering their case as it means that you don’t need to actually cut the foam, instead you just pick out the foam in the shape you need (you’ll see how that works soon). Here are my chalk markings that I made to keep an eye on where I had to pluck! In the end, I actually was a bit more specific than the chalk markings and tried to give the headset a bit of a tighter fit by rounding the edges (you’ll see that soon). Overall — it is better to make a spot that is too small and have to make it bigger than it is to make a spot that is too big! 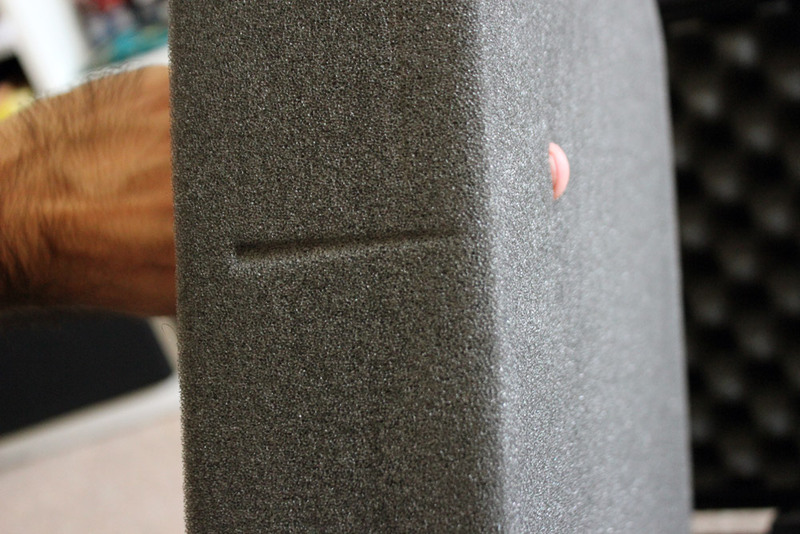 I then plucked the edge of my headset boundary out of the foam. 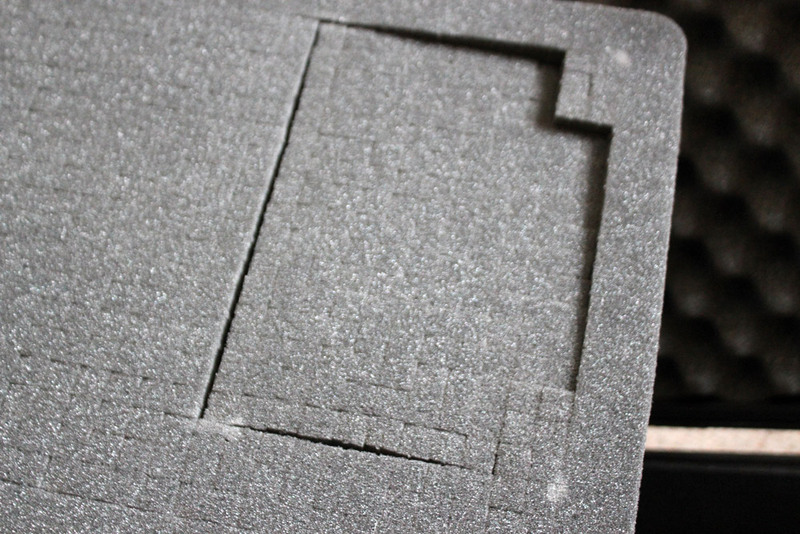 I intentionally tried to keep it all plucked out as one big piece, in case I wanted to reuse this case for a new headset down the line (I’m not sure what the Meta 2 case will be like or how different the size will be). 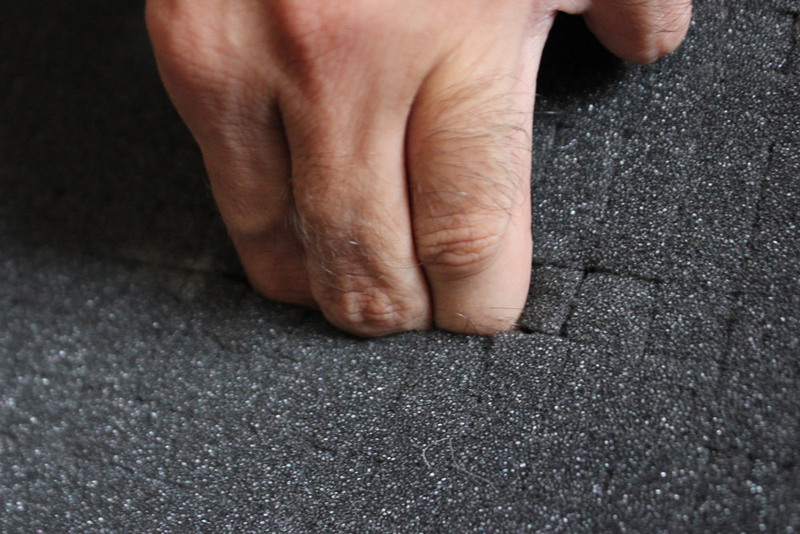 Once the edges were all plucked, pulling it out of the foam was relatively easy and straightforward. 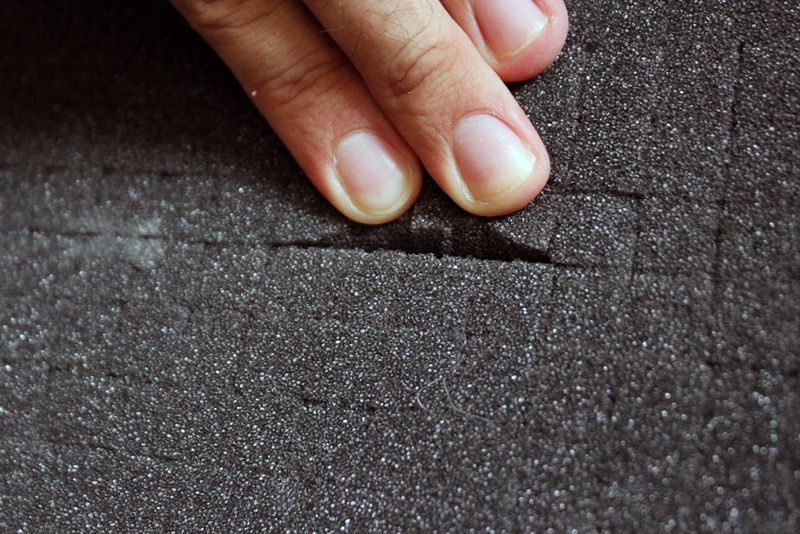 After every hole, I always placed the object inside to be certain that I had the right shape. Luckily, everything fit well on my end! 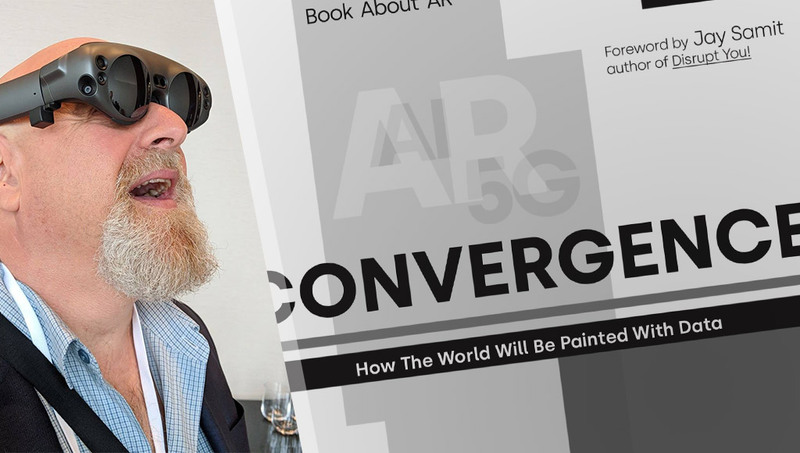 If you’re following along, I hope all is looking good for you too! 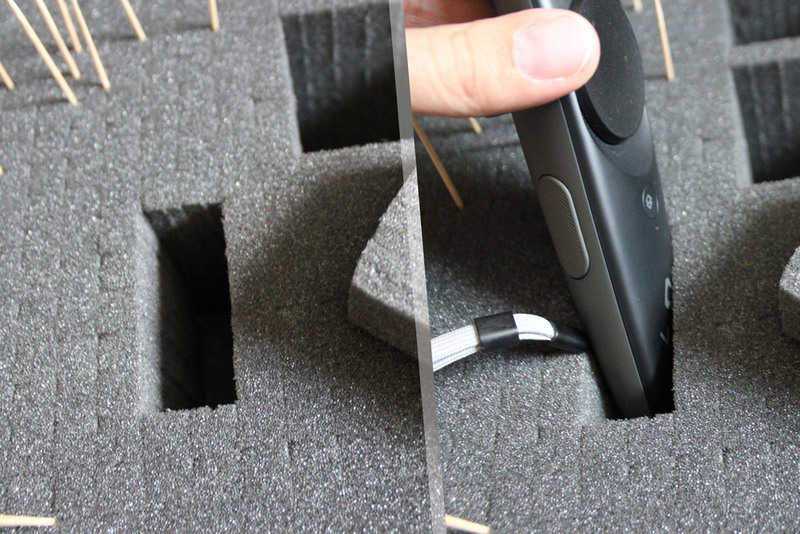 To make up for the lack of lots of padding between them, I place the more sensitive front of the sensors in the direction with the most foam. 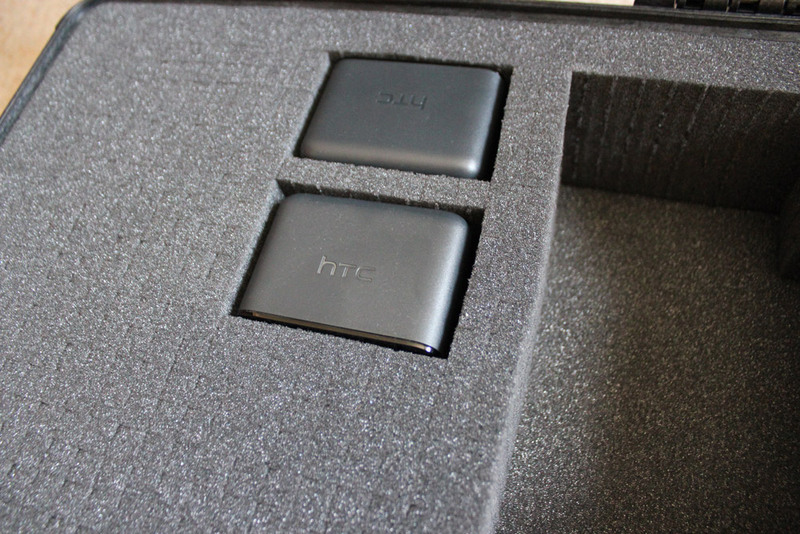 That way, it’s just the plastic back of the sensors which are separated by the one row of foam, which I think should be okay. 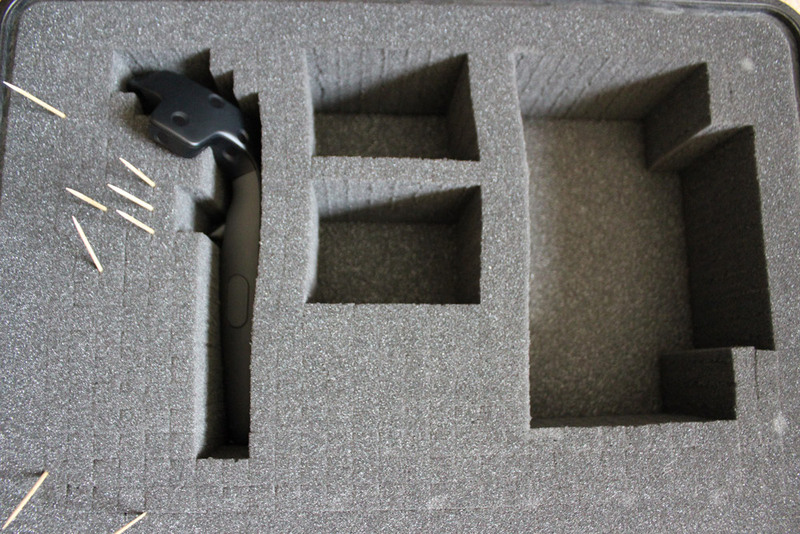 The next bit is the hardest in terms of finding the right shape and ensuring that there’s enough room for them — the controllers. You could theoretically work out the shape without toothpicks but I found it a bit easier to manage using that method. There was an extra spot under the headset which I thought I could use for storing a micro fibre cloth and other small bits and pieces. Luckily, yes! It’s a tight fit but it fits! I’d definitely suggest a bigger case if you don’t have the same size restrictions as me. 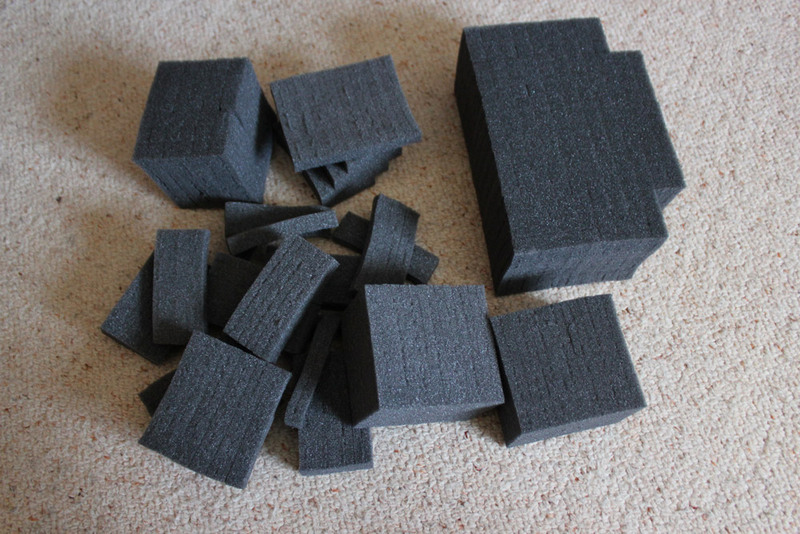 And, of course, you can always buy replacement pick n pluck foam! 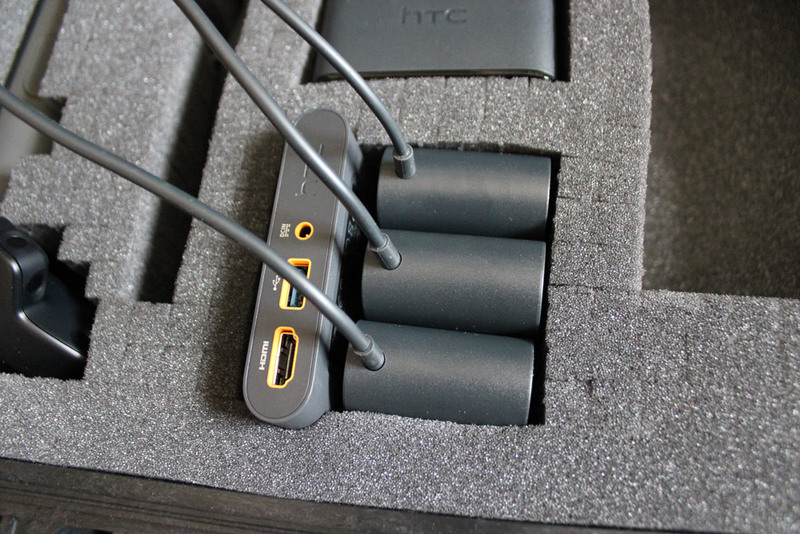 All ready to transport my Vive anywhere! 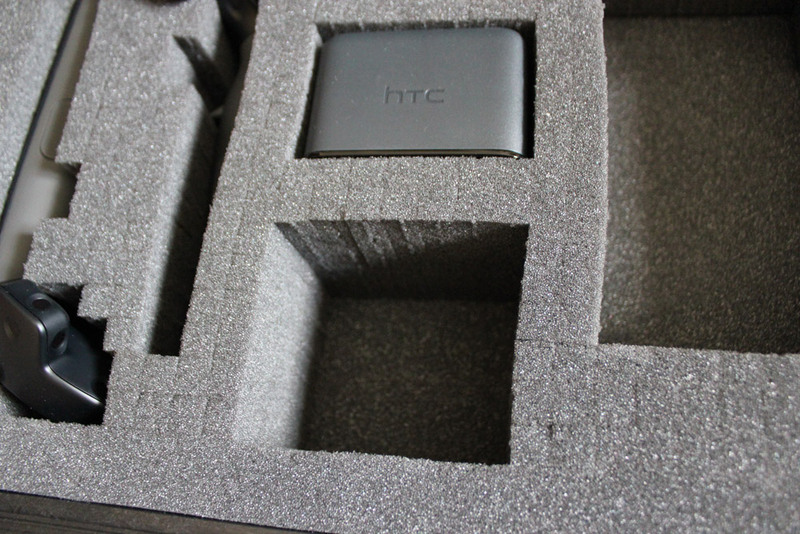 My HTC Vive is now safe and sound when being transported around! 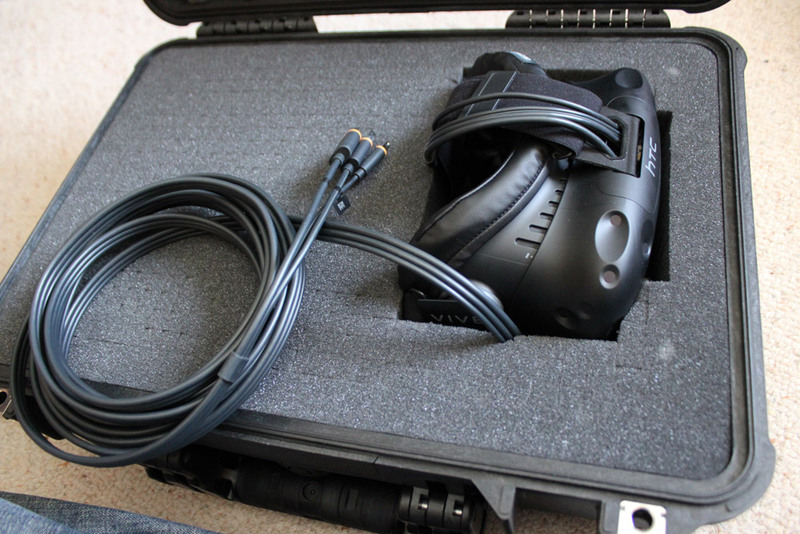 It has already successfully carried my Vive to a big VR workshop I ran, survived multiple train trips and rainy weather. So overall, I’m very happy with it so far. 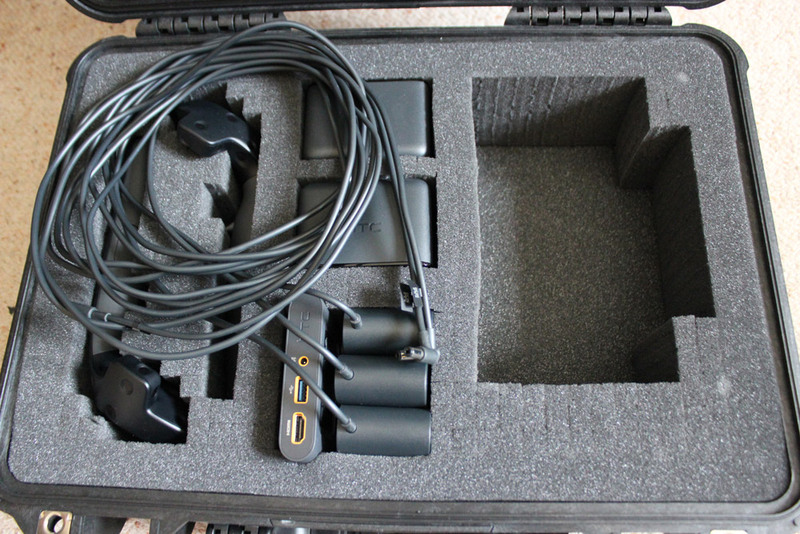 The only things I need to carry separately are monopods/tripods for the sensors and my VR laptop and its charger. 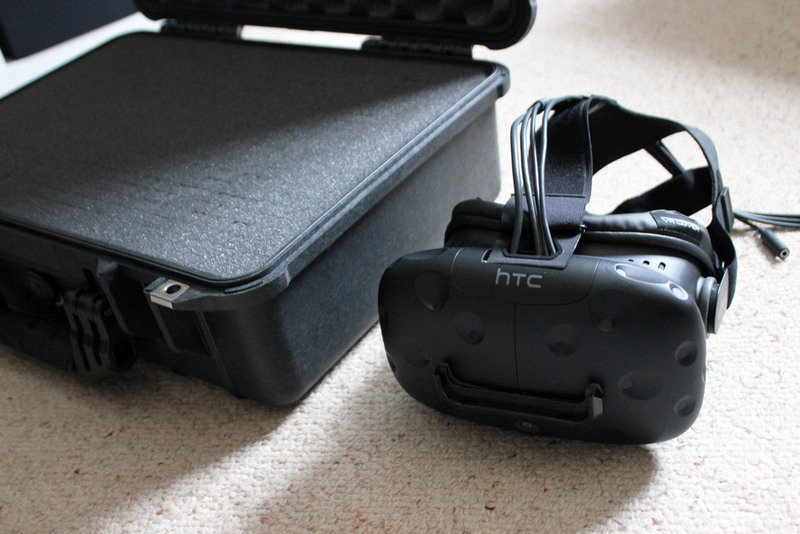 Have you got your own custom HTC Vive case you’ve put together? How’d you go about it? Got any tips? Anything you’d do differently to mine? Let us know in the comments!